Pets today can live longer, healthier lives than ever before-in part because of vaccines that help protect them from deadly infectious diseases. Over the years, vaccines against dangerous diseases have saved millions of pets and virtually eliminated some fatal diseases that were once common. 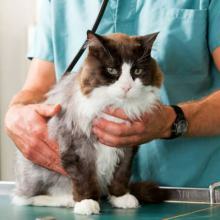 Unfortunately, many infectious diseases still pose a significant threat to dogs and cats that are unvaccinated. Although vaccine programs have been highly successful and vaccines are considered routine today, we (as caregivers) and you (as pet parents) cannot afford to become complacent about keeping pets up-to-date on their vaccinations.